Another long, wet day at Campomulo but in the end a guaranteed promotion from Group 3 to Group 2 for the women, who finished 18th, and a 23rd place finish for the men which, as for the women, was an improvement of 3 places on last year in Finland. 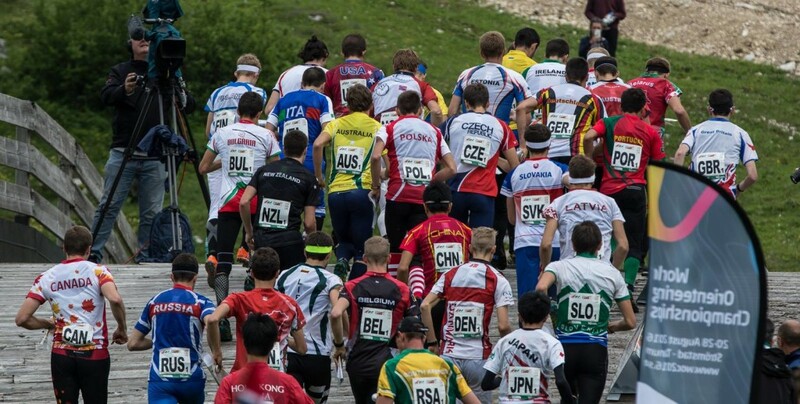 Once again the courses were rugged and steep and, even for a WOC relay had big differences between the different splits. GPS fading out at various places on the map added to the entertainment in the arena as the crowd tried to second guess who was in front. In the women’s race the gaps opened up very quickly and were significant even as the first leg runners went through the arena run through about half way through the course. Greta, on first leg for New Zealand, had a few problems early on but then, on a fast first leg, held together the second part of the course to come in 20th and hand over to Lizzie. Had Lizzie run yesterday as she did today she would almost certainly have been on the middle distance podium. 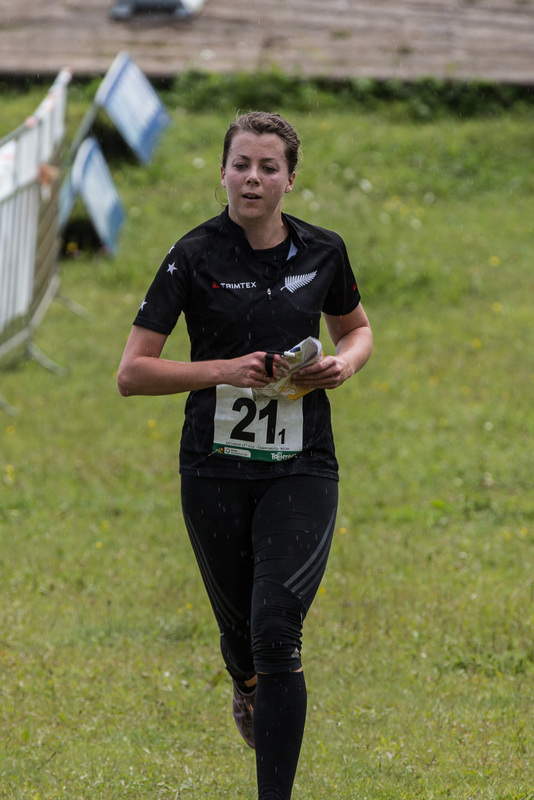 She literally charged through the field in an amazing run to move New Zealand into 9th place, much to the consternation of Imogene was not expecting her for several more minutes. 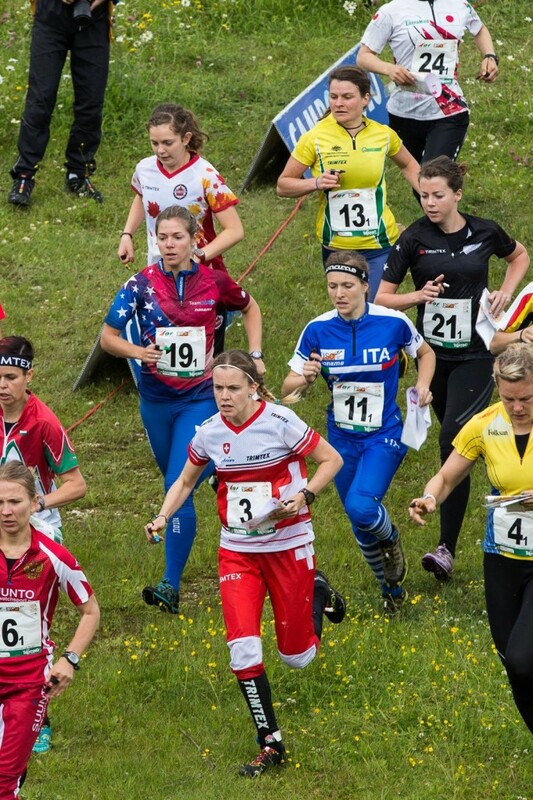 At her first WOC, Imogene had a a wavering start, but encouraged by the supporters as she went through the run through she held on for that 18th place, and more importantly, well ahead of the other group 3 nations. 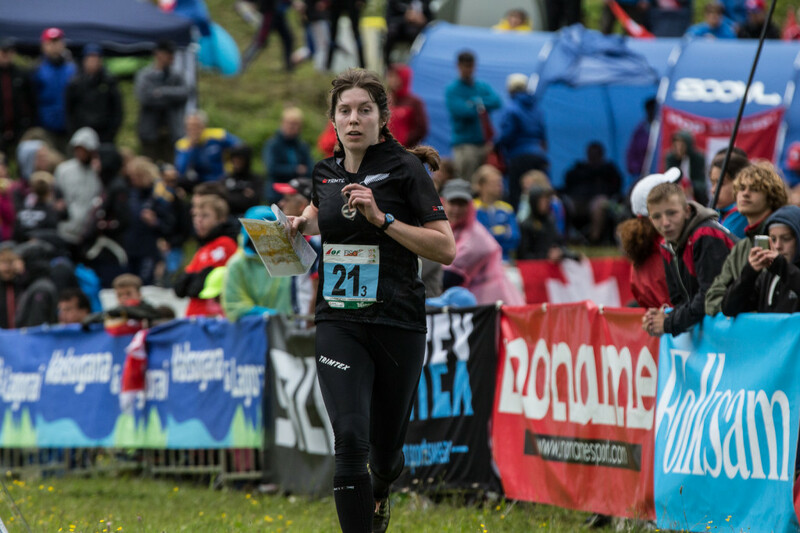 Its is my prediction that next year in Scotland, New Zealand will be entitled to 2 women in both the middle and long distance races. Should anyone win the Oceania middle distance or long distance title in Tasmania in January, they will also get a further individual entry into that race. The challenge then will be to stay in group 2 – onwards and upwards. At the front Judith Wyder chased down a nearly 2.5 minute deficit on Tove Alexandersson on the last leg to give Switzerland the gold, with Maja Alm also sneaking past Tove for Denmark, with Sweden 3rd. To put it in perspective, Lizzie’s run was 3rd fastest on the second leg Annika Billstam and Ida Bobach the middle distance gold and silver medalists. 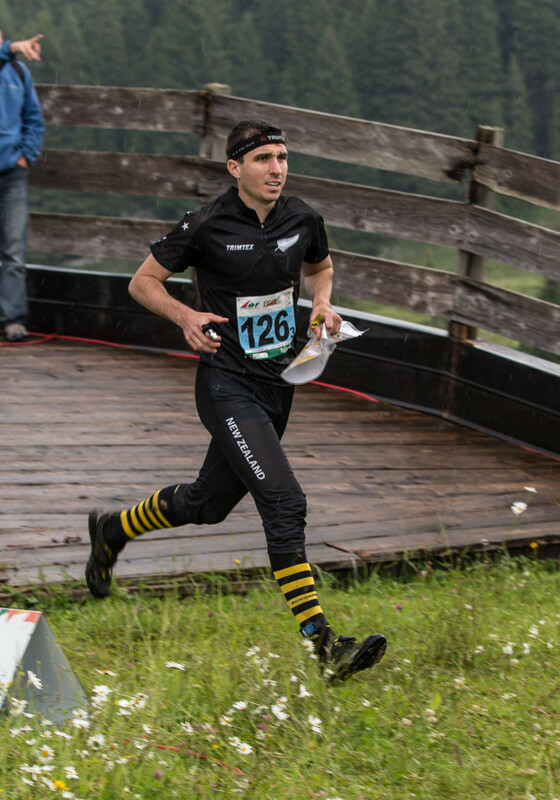 For the men, Tim was testing the waters on the first leg in preparation for the same at JWOC and ran a strong race tucking at the back of the third group of runners and sensibly using them as his pacers, coming 20th with only a few minor wavers. Ross, taking over also ran a good leg, tussling all the way with Lachlan Dow of Australia and handing over to Matt in 21st place and 4s ahead of the Aussies. With the third leg both longer and with more controls than the other two Matt made a mistake early on and dropped off the group he was with. Even so, with persistent rain, lightning and thunder he ran 19th fastest on the leg as the team dropped to 23rd. 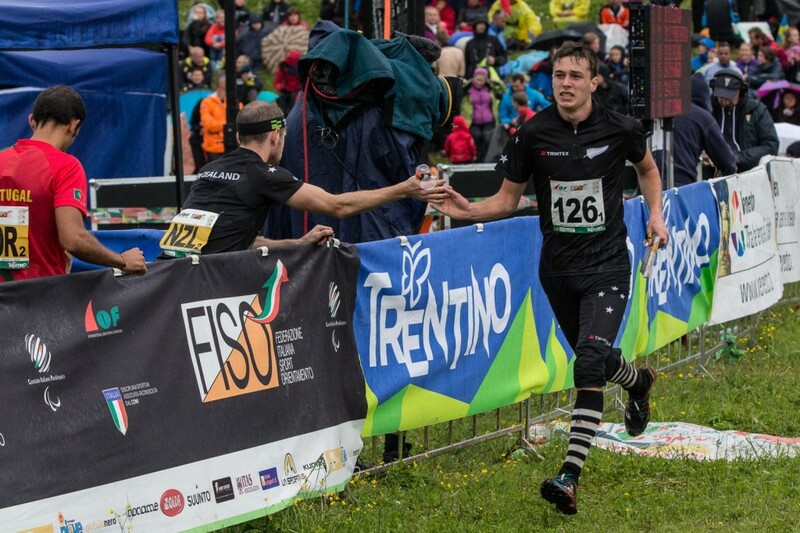 At the business end an anticipated dog fight between Sweden, Switzerland and France on the last never eventuated as Sweden’s Gutsav Bergman powered away from Matthias Kyburz and Thierry Gueorgiou to give Sweden their first relay gold for many years. In the group 3 men’s standings Australia and Ireland have secured promotion to group 2, while the Kiwi men will need at least another year in group 3. So, once again WOC is over. Overall better results than 2013 with perhaps the sprint qualifying the biggest disappointment, along with course setting in both sprints that did not really suit our strengths. Great results from Lizzie again, and a really good long performance from Greta. For the future a good experience for Matt and Imogene at their first WOC from which they will benefit enormously for future years. Hope you have enjoyed the updates. I will try and post all my photos somewhere. Now it’s off to bed and up at 5am to get back to Venice airport.